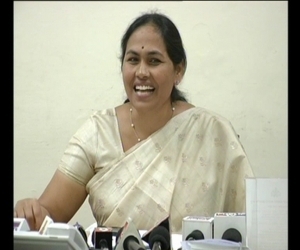 Posted on : Mon, 31-12-2012 ಇತ್ತೀಚಿನ ದಿನಗಳಲ್ಲಿ ಹೆಚ್ಚುತ್ತಿರುವ ಮಹಿಳೆಯರ ಮೇಲಿನ ದೌರ್ಜನ್ಯ ಮಾನವ ಜನಾಂಗಕ್ಕೆ ದೊಡ್ಡ ಕಪ್ಪು ಚುಕ್ಕೆಯಾಗಿದೆ ಎಂದು ಮಾಜಿ ಮುಖ್ಯಮಂತ್ರಿ ಎಸ್.ಎಂ.ಕೃಷ್ಣ ಸೋಮವಾರ,ಡಿ.31 ರಂದು ಹೇಳಿದರು. 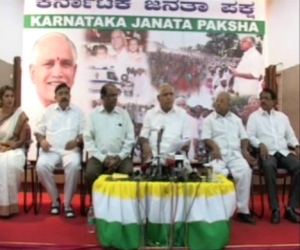 Posted on : Thu, 31-01-2013 BJP MLAs who handed in their resignation on Wednesday formally took the oath of membership to join the Karnataka Janata Party on Thursday. 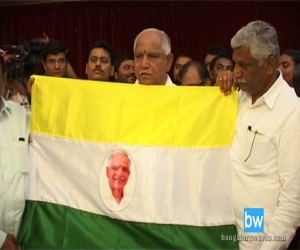 Speaking to press, KJP Leader, B S Yedyurappa thanked all the newly minted party members especially, Former Public Works Minster C M Udasi and Former Energy Minister Shobha Karandlaje. 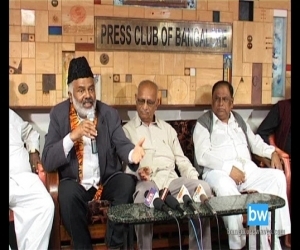 Posted on : Fri, 30-11-2012 The meeting between Karnataka and Tamilnadu chif minister's held on Thusday,Nov 29 at Bangalore has failed to find a solution for the Cauvery water crisis. Posted on : Fri, 30-11-2012 ಶುಕ್ರವಾರ,ನ.30 ರಂದು ಬಿ.ಎಸ್. ಯಡಿಯೂರಪ್ಪ ಬಿಜೆಪಿ ಪಕ್ಷಕ್ಕೆ ರಾಜಿನಾಮೆ ನೀಡಲಿದ್ದಾರೆ. 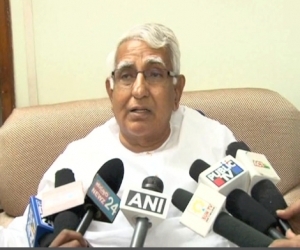 Posted on : Fri, 30-11-2012 ಸ್ವಾತಂತ್ರ್ಯ ಉದ್ಯಾನವನದಲ್ಲಿ ಏರ್ಪಡಿಸಿದ್ದ ಬಹಿರಂಗ ಸಭೆಯನ್ನುದ್ದೇಶಿಸಿ ಮಾತನಾಡಿದ ಮಾಜಿ ಮುಖ್ಯಮಂತ್ರಿ ಬಿ.ಎಸ್. ಯಡಿಯೂರಪ್ಪ , ತೆರೆದ ವಾಹನದಲ್ಲಿ ವಿಧಾನಸೌಧಕ್ಕೆ ತೆರಳಿ ಸ್ಪೀಕರ್ ಕೆ.ಜಿ.ಬೋಪಯ್ಯ ಅವರಿಗೆ ರಾಜೀನಾಮೆ ಸಲ್ಲಿಸಿದರು. 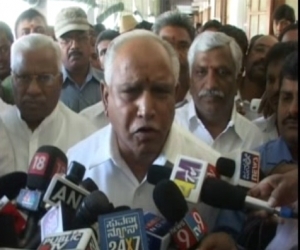 Posted on : Fri, 30-11-2012 B S Yeddyurappa addressed a Press conference after resigning from the post of BJP MLA. 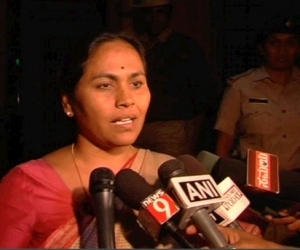 Posted on : Wed, 30-01-2013 The 13 rebel MLAs including public works minister C M Udasi and Energy Minister Shobha Karandlaje left the chambers of Karnataka Assembly Speaker, K G Bopiah after he accepted their resignation late Tuesday night. 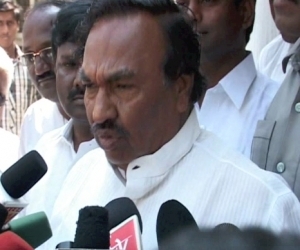 Posted on : Wed, 30-01-2013 BJP Karnataka President K S Eshwarappa and Chief Minster Jagadish Shettar spoke to the press separately to assure that public that the BJP government is still in power and will complete it's term. 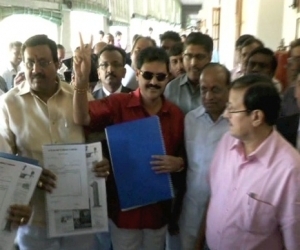 Posted on : Tue, 29-01-2013 The 13 Rebel MLAs from the BJP handed in thier official resignation to Speaker KG Bopiah on Tuesday. 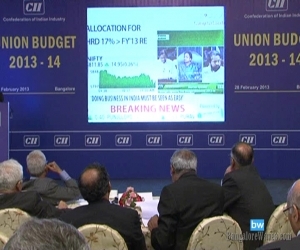 Posted on : Thu, 28-02-2013 CII oraganized union budget screening in a private hotel on Feb.28,2013. 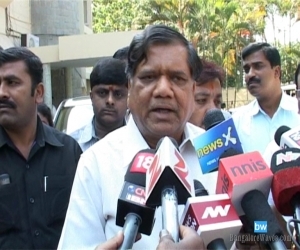 Posted on : Mon, 28-01-2013 KJP Loyalist C M Udasi spoke to the media on Monday and said that the 13 MLAs are ready to hand in their resignation to speaker K G Bopaiah on Tuesday. 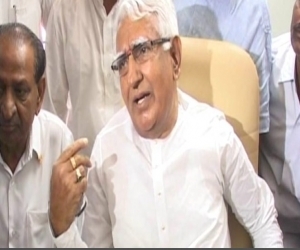 Posted on : Mon, 28-01-2013 Two BJP MLAs, Beluru Gopalakrishna and M.V.Nagaraju have submitted a petition to the Legislative Assembly Secretary, P. Om Prakash on Monday, seeking the disqualification of the 13 MLAs who have identified with former Chief Minister B S Yedyurappa's KJP Party. 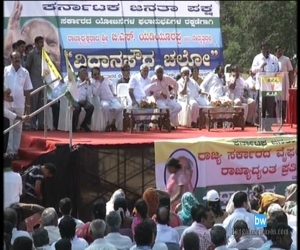 Posted on : Thu, 27-12-2012 Social activist S.R.Hiremath on Thursday,Dec.28, said Matadarara Jagruthi Jatha will began from Shimoga on January 17. 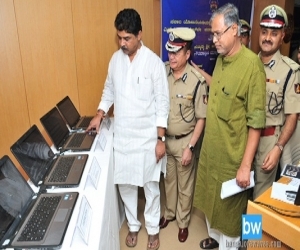 Posted on : Tue, 27-11-2012 Deputy CM R.Ashoka inaugurated SMS gateway at the police headquarters in Bangalore. 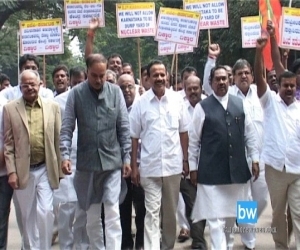 Posted on : Wed, 26-12-2012 Vidhana Soudha Chalo procession from KJP on Wednesday,Dec.26 to lay sieze on Vidhana Soudha to protest against the bad governance of the BJP government. 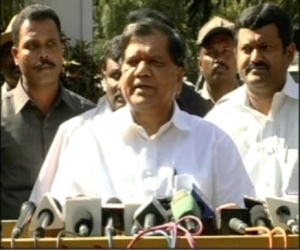 Posted on : Sat, 26-01-2013 Chief Minsiter Jagadish Shettar was present at the Republic Day celebrations in Bangalore where he spoke to the media and reassured them that the BJP was indeed in power and that the budget will be presented as planned. 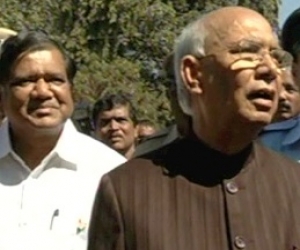 Posted on : Fri, 25-01-2013 Karnataka Governor, H R Bharadwaj spoke to media persons on Friday about the limitations of the Governor's office and also the future steps he will be taking to ease the present political crisis. Posted on : Fri, 25-01-2013 ಮುಖ್ಯಮಂತ್ರಿ ಜಗದೀಶ್‌ ಶೆಟ್ಟರ್ ತಮ್ಮ ಸರ್ಕಾರಕ್ಕೆ ಸ್ಪಷ್ಟವಾದ ಬಹುಮತವಿದೆ. ಸರ್ಕಾರ ಅವಧಿ ಪೂರ್ಣಗೊಳಿಸುತ್ತದೆ ಎಂದು ವಿಶ್ವಾಸ ವ್ಯಕ್ತಪಡಿಸಿದ್ದಾರೆ. ಜ.25 ರಂದು ರಾಜಭವನದಲ್ಲಿ ಮಾಧ್ಯಮಗಳನ್ನುದ್ದೇಶಿಸಿ ಮಾತನಾಡಿದ ಶೆಟ್ಟರ್, ಫೆ 4 ರಂದು ಜಂಟಿ ಅಧಿವೇಶ ನಡೆಯಲಿದೆ. ಅಧಿವೇಶನಕ್ಕೆ ರಾಜ್ಯಪಾಲರೂ ಪಾಲ್ಗೊಳ್ಳಲಿದ್ದಾರೆ ಎಂದು ಸ್ಪಷ್ಟಪಡಿಸಿದರು. 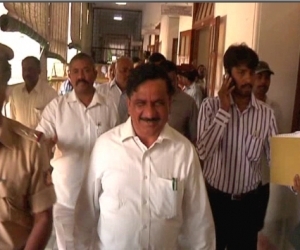 Posted on : Mon, 24-12-2012 Lokayukta police on Monday,Dec.24, raided 7 places in Shimoga and Bangalore that belongs to deputy chief minister Eshwarappa. 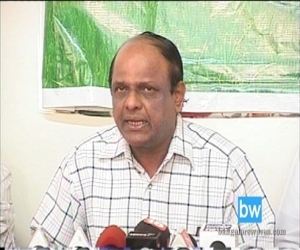 Posted on : Sat, 24-11-2012 ತಮಿಳುನಾಡಿನ ಕೂಡಂಕುಳಂ ಅಣುವಿದ್ಯುತ್ ಸ್ಥಾವರದ ತ್ಯಾಜ್ಯವನ್ನು ಕೆಜಿಎಫ್ ನಲ್ಲಿ ವಿಲೇವಾರಿ ಮಾಡುವ ಕೇಂದ್ರ ಸರ್ಕಾರದ ಪ್ರಸ್ತಾಪಕ್ಕೆ ಚಿನ್ನದ ನಾಡು ಕೋಲಾರದಲ್ಲಿ ವ್ಯಾಪಕ ವಿರೋಧ ವ್ಯಕ್ತವಾಗಿದ್ದು ಈ ಹಿನ್ನಲೆಯಲ್ಲಿ ಕರೆ ನೀಡಿದ್ದ ಕೆಜಿಎಫ್ ಬಂದ್ ಸಂಪೂರ್ಣ ಯಶಸ್ವಿಗೊಂಡಿದೆ. 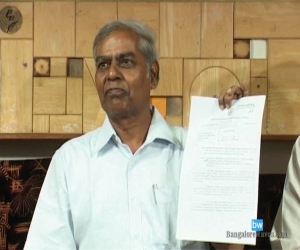 Posted on : Sat, 24-11-2012 BJP State president K.S.Eshwarappa led delegation met Governor H.R.Bharadwaj on Saturday and submitted a memorandum urging the central government not to dump the nuclear waste in KGF. 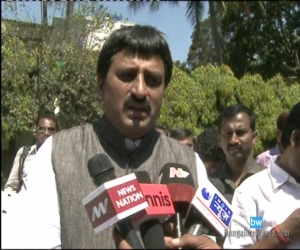 Posted on : Sat, 24-11-2012 KJP State President V Dhananjay Kumar spoke to media on the issue of BBMP's irresponsibility on garbage segregation. 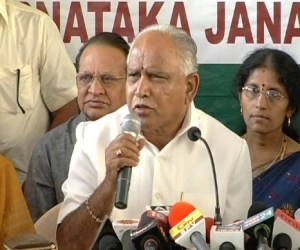 Posted on : Thu, 24-01-2013 BS Yeddyurappa continued his crusade against the BJP government and said that it would be unconstitutional for the present government to continue. ಪುತ್ತೂರಿನ ಮಿನಿ ವಿಧಾನಸೌಧದ ಮೊದಲನೇ ಹಂತದ ಕಟ್ಟಡ ಉದ್ಘಾಟನೆ. 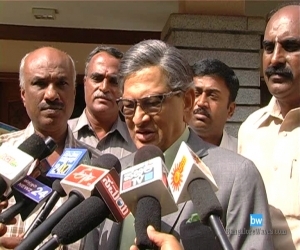 Posted on : Fri, 23-11-2012 ರಾಜಕೀಯ ಇಚ್ಛಾ ಶಕ್ತಿ ಪ್ರದರ್ಶನವಾದಲ್ಲಿ ಮಾತ್ರ ಅಭಿವೃದ್ಧಿಗೆ ಪೂರಕ ವಾತಾವರಣ ನಿರ್ಮಾಣವಾಗಲು ಸಾಧ್ಯ. ಅಭಿವೃದ್ಧಿಗೆ ವೇಗ ಮತ್ತು ಚಾಲನೆ ನೀಡುವುದು ರಾಜ್ಯ ಸರ್ಕಾರದ ಗುರಿ ಎಂದು ಮಾಜಿ ಮುಖ್ಯಮಂತ್ರಿ ಡಿ ವಿ ಸದಾನಂದಗೌಡ ತಿಳಿಸಿದ್ದಾರೆ. ನ.22 ರಂದು ಪುತ್ತೂರಿನ ಮಿನಿ ವಿಧಾನಸೌಧದ ಮೊದಲನೇ ಹಂತದ ಕಟ್ಟಡ ಉದ್ಘಾಟಣೆ ಹಾಗೂ ಹಲವಾರು ನೂತನ ಕಾಮಗಾರಿಗಳಿಗೆ ಶಿಲಾನ್ಯಾಸ ನೆರವೇರಿಸಿ ಸಭಾ ಕಾರ್ಯಕ್ರಮದಲ್ಲಿ ಸದಾನಂದ ಗೌಡ ಮಾತನಾಡಿದರು. 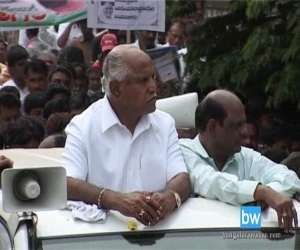 Posted on : Wed, 23-01-2013 Yedyurappa loyalists, CM Udasi, the Public Works Minster and Shobha Karandlaje, the Energy Minster handed in their resignation to Karnataka Chief Minster Jagadish Shettar on Wednesday. 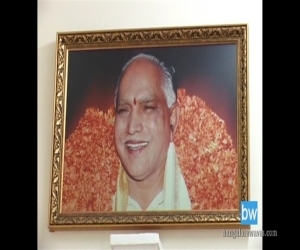 Posted on : Wed, 23-01-2013 KJP President BS Yedyurappa spoke to reporters in Vidhan Soudha to express his anger at CM Jagadish Shettar is mainly responsible for Speaker KG Bopiah's sudden foreign trip. 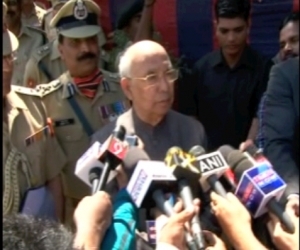 Joint Secretary Jayatirtha Galagali also spoke to the press and said that only the speaker can accept resignations. 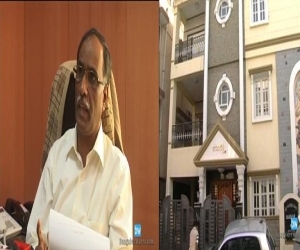 Posted on : Thu, 22-11-2012 ಟಿಪ್ಪು ಸುಲ್ತಾನ್ ಕಮಿಟಿಯಿಂದ ಬೆಂಗಳೂರಿನಲ್ಲಿ ಪತ್ರಿಕಾಗೋಷ್ಠಿ ಗುರುವಾರ,ನ.22 ರಂದು ನಡೆಯಿತು. 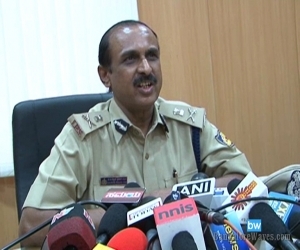 Posted on : Tue, 22-01-2013 ಬಿಜೆಪಿಗೆ ಇಂಧನ ಸಚಿವೆ ಶೋಭಾ ಕರಂದ್ಲಾಜೆ ರಾಜಿನಾಮೆ ನೀಡುವುದು ಬಹುತೇಕ ಖಚಿತವಾಗಿದೆ. 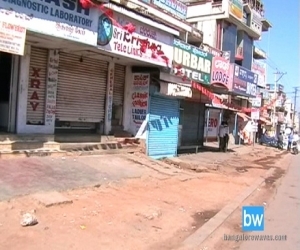 Posted on : Thu, 21-02-2013 ಫೆ.21ರಂದು ಮುಖ್ಯಮಂತ್ರಿ ಜಗದೀಶ್ ಶೆಟ್ಟರ್ ಅವರ ಗೃಹ ಕಚೇರಿ 'ಕೃಷ್ಣ'ಗೆ ತೆರಳಿ ರಾಜಿನಾಮೆ ನೀಡಿದ ಬಳಿಕ ಮಾಧ್ಯಮಗಳೊಂದಿಗೆ ಮಾತನಾಡಿದ ಯೋಗೇಶ್ವರ್ ಮತ್ತು ರಾಜು ಗೌಡ. 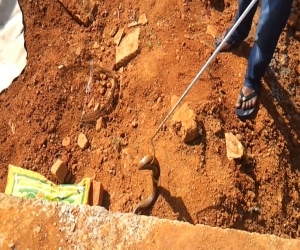 Posted on : Thu, 21-02-2013 ಕಾವೇರಿ ನ್ಯಾಯಾಧಿಕರಣದ ಐತೀರ್ಪಿನ ಅಧಿಸೂಚನೆಯನ್ನು ಕೇಂದ್ರ ಸರ್ಕಾರ ಹೊರಡಿಸಿರುವ ಹಿನ್ನಲೆಯಲ್ಲಿ ರೈತ ಮುಖಂಡರು ಮುಖ್ಯಮಂತ್ರಿ ಜಗದೀಶ್ ಶೆಟ್ಟರ್ ಅವರನ್ನು ಭೇಟಿ ಮಾಡಿ ಅಧಿಸೂಚನೆಯ ಸಾಧಕ-ಬಾಧಕಗಳನ್ನು ಚರ್ಚಿಸಿದರು.